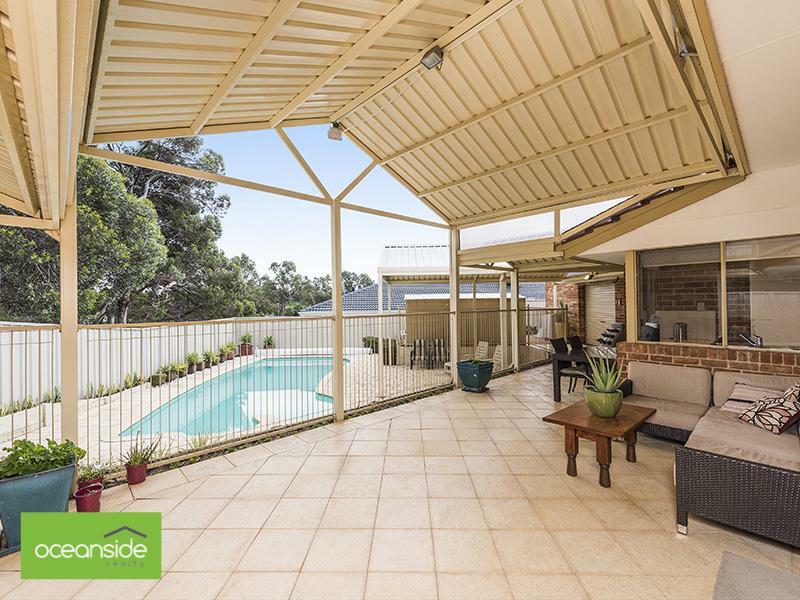 This functional family home is anticipated to attract a lot of buyer attention! First time offered never been to market featuring an expansive and flexible floor plan complimented by high ceilings to further emphasizes the more than adequate internal space this super-sized family home has to offer. 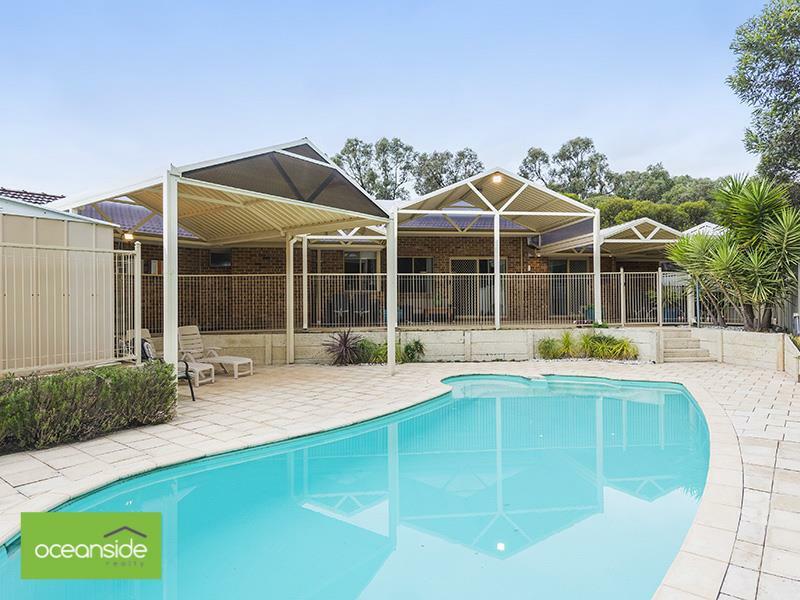 Outdoors entertaining is set to be a breeze with a very generous elevated patio which extends out into the pool area along with overlooking the sparkling pool below. Generous master bedroom with fitted built in robe, ceiling fan and feature brick wall. 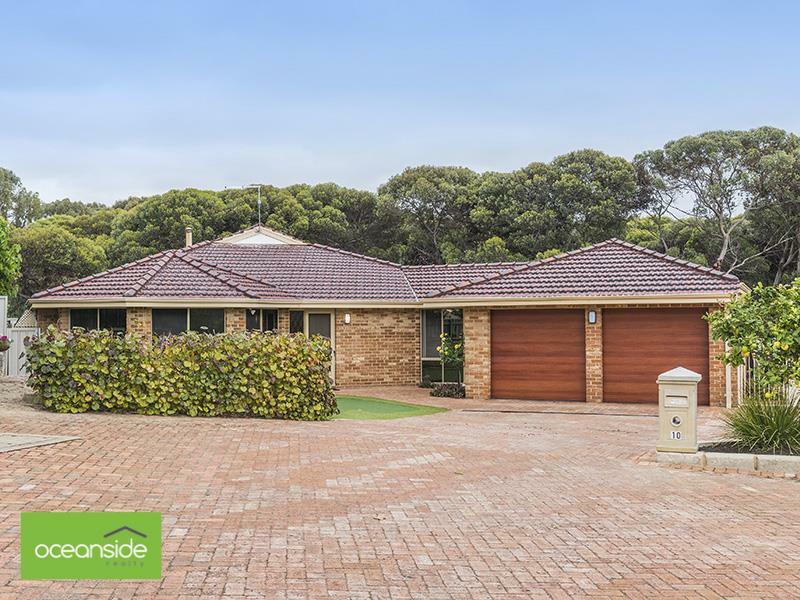 Located in a quiet street with rear access to Baltusrol Park and walking distance to the rolling fairways of Joondalup Golf Course and Country Club, local shops, transport and much more. Viewing will not disappoint, call Terry or Angela today!